Digerati have announced that the fantasy battle card game Golem Gates will be coming to consoles, including the Nintendo Switch. The game will release sometime in April, though the actual release date is yet to be confirmed. We have the official press release below as well as a trailer for Golem Gates below. Get your decks in a row! 14 March 2019 – Indie publisher Digerati is pleased to confirm the acclaimed action-strategy card-game hybrid, Golem Gates, is coming to Xbox One (and as a full 4K gaming experience on Xbox One X), PlayStation 4, and Nintendo Switch in April – exact release date is still TBC. 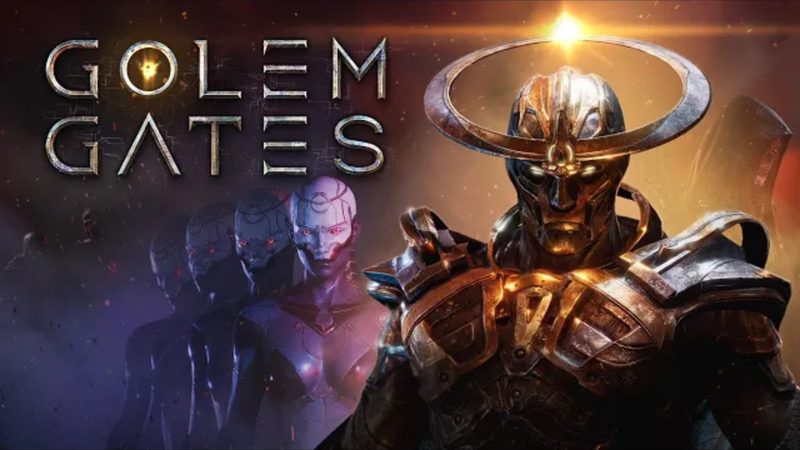 Developed by Laser Guided Games, Golem Gates is a post-apocalyptic sci-fi blend of action-strategy and card battler, pitting your conjured armies against otherworldly forces. An ancient threat surges from the Golem Gates, and only the Harbinger stands guard. Wielding the nanite-infused power of The Ash, you must protect a world ravaged by ancient wars. Choose from 100 cards (known as Glyphs) and unleash diverse units, buildings, buffs, and more in tactical combat across single player, co-op, and online multiplayer. Randomized drawing and quick unit placement means you’ll have to adapt on the fly as you formulate your strategy. Add more forces to a battle to turn the tide, transform a scouting party into an army, place emergency defenses to respond to the enemy, or hide an outpost in a direction the enemy doesn’t expect. The choices are yours, but beware: the enemy will do the same and with the right Glyph your forces can be destroyed as fast as they were created.